In Global Revival Of Religion, 'God Is Back' Economist editors John Micklethwait and Adrian Wooldridge have written a new book, God Is Back. From Christians in Shanghai to Muslim televangelists in Cairo, they conclude we're in the middle of a global faith revival. 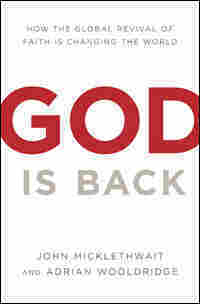 Economist editors John Micklethwait and Adrian Wooldridge have written a new book, God Is Back. From Christians in Shanghai to Muslim televangelists in Cairo, they conclude we're in the middle of a global faith revival. They report compelling evidence of a religion boom. For example, they say China will be the world's biggest Christian country by 2050 — at the latest — and already the country has more churchgoers than members of the Communist party. Micklethwait and Wooldridge also report religious people are healthier, wealthier and happier than the non-religious. On a less rosy note, they also cite faith as being at the heart of the world's worst flashpoints of violence. Almost everywhere you look, from the suburbs of Dallas to the slums of São Paulo to the back streets of Bradford, you can see religion returning to public life. Most dramatically, Americans and their allies would not be dying in Iraq and Afghanistan had nineteen young Muslims not attacked the United States on September 11, 2001. America's next war could be against the Islamic Republic of Iran — or it could be dragged into a spat in Pakistan, where religious fanatics are determined to seize the country's nuclear weapons, or perhaps in West Africa, where there is a monumental clash between Evangelical Christianity surging northward and fundamentalist Islam heading south. Indeed, there are potential battlegrounds all around Islam's southern perimeter, along the tenth parallel, stretching through Sudan to the Philippines. Nor is it just a matter of Christians and Muslims. In Myanmar (Burma) Buddhist monks nearly brought down an evil regime; in Sri Lanka they have prolonged a bloody conflict with Hindu Tamils. Meanwhile, many older conflicts have acquired a religious edge. The poisonous sixty-year war over Palestine began as a largely secular affair. Many of the pioneering Zionists in the early twentieth century saw the Middle East as an escape from the suffocating religiosity of Eastern European village life. Even after the Holocaust, the new "Jewish state" at first deemed religion a distraction: after Israel's founding in 1948 the secular David Ben-Gurion agreed that rabbinical law would prevail in matters such as marriage and divorce partly because he assumed the Orthodox would melt away. On the Palestinian side, many of the leaders of the PLO were Christian socialists; in Egypt, the spiritual champion of Arab nationalism, Nasser, clamped down on the radical Muslim Brotherhood. Nowadays, in the era of Hamas, Jewish settlers and Christian Zionists, the Israeli-Palestinian dispute has become a much more polarized, sectarian battle, with ever more people claiming that God is on their side. As for the old Communist regimes, China is not the only country to have renewed its addiction to the opium of the masses. Vladimir Putin, that hardheaded product of the Soviet security apparatus, decks himself in symbols of religion in much the same way as Russian czars once did: he never takes off his baptismal cross, maintains a small chapel next door to his office in the Kremlin and has made regular visits to churches. The KGB's successor, the FSB, has its own Orthodox church opposite its headquarters,complete with rare icons presented by the Patriarch. One poll in 2006 — fifteen years after the fall of the Soviet regime — discovered that 84 percent of the Russian population believed in God while only 16 percent considered themselves atheists. Meanwhile, Mikhail Gorbachev has shown signs that he is a Christian: after spending half an hour with his daughter Irina praying at the tomb of St. Francis of Assisi, the last Soviet leader confessed that "St. Francis is, for me, the alter Christus, the other Christ. His story fascinates me and has played a fundamental role in my life." Atatürk's Turkey is now in the hands of an avowedly Islamist party. The president's wife, like many cosmopolitan women, wears a headscarf, once regarded as a symbol of backwardness. For most of the past decade India has been controlled by the Hindu nationalist BJP Party, which owed its ascendancy partly to the issue of the Ayodhya Temple, a fiercely contested place of worship for both Hindus and Muslims. And it is not just the familiar, bloody Hindu-Muslim divide. Two of the most touchy issues in modern Indian politics are the legality of Christian conversions of untouchables and an underwater "bridge" to Sri Lanka supposedly built by a team of monkeys for the Lord Rama, which the more secularist Congress Party wants to tamper with so that shipping can get through. In America, the Evangelicals have long since reemerged from their caves. The religious right is an established part of politics in almost every state, and America has had a succession of "born again" presidents. The man it has just waved goodbye to was its most soul-on-the-sleeve religious leader since the nineteenth century: George Bush began each day on his knees and each cabinet meeting with a prayer, but he was a relatively moderate figure compared with Sarah Palin, the Pentecostal selected by John McCain to be his vice presidential candidate, who has undergone rites to protect her from witchcraft. The single most frequently used noun in the 2008 Republican Convention in St. Paul, Minnesota, was "God." But the left is not immune from the influence of religion either: Barack Obama borrowed the title of his autobiography, The Audacity of Hope, from a sermon delivered by Jeremiah Wright, the man who 'brought him to God" when he was a young man (and later almost doomed his presidential campaign). Religion is even ( re-)emerging as a force in the very heartland of secularization. Europe is still a long way behind America: for instance, only one in ten French people say that religion plays an important role in their lives. But nevertheless there are signs that the same forces that are reviving religion in America — the quest for community in an increasingly atomized world, the desire to counterbalance choice with a sense of moral certainty — are making headway in Europe. Across the Continent the loosening of the ties between church and state is opening the religious market. In France, the fastest growing creed is the most American of all, Pentecostalism. Some two million Britons have taken the so-called Alpha Course, run by an Anglican church, Holy Trinity Brompton. After embracing modernism in the 1960s with Vatican II, the Catholic Church has now returned to a more traditional version of the faith, first under John Paul II and now under his successor, Benedict XVI. The aim is to Catholicize modernity rather than to modernize Catholicism. The principle that European politicians do not "do God," as Alastair Campbell, Tony Blair's former spokesman, once angrily told an American magazine, looks out of date. Tony Blair was always a "praying person," and converted to Catholicism shortly after leaving office. 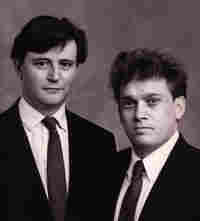 His successor, Gordon Brown, claims that he learned his socialism listening to his preacher father's sermons. Before becoming president of France, Nicolas Sarkozy published La République, les religions, l'espérance, in which he called for a greater role for religion in public life. Poland's Law and Justice Party was elected on the promise of a "moral revolution," based on the social teachings of the Roman Catholic Church. The arrival of millions of Muslims in Europe is also turbocharging religious debates. Growing Muslim minorities are plainly having a remarkable effect on European politics. At the most extreme end, this includes the bombings in Madrid and London, the killing of a Dutch filmmaker, Theo van Gogh, the riots in the Paris banlieues and the brouhaha about the Danish cartoons of Muhammad. More peacefully, the growth of Islam is also forcing secular people to reexamine the importance of religion. This applies both in working-class neighborhoods, where whites, confronted by immigration, are increasingly likely to identify themselves as Christian, and also in politics, where a striking number of the Continent's leaders, casting around for a reason not to admit Turkey to the European Union, have rediscovered Europe's Christian origins. Excerpted from God Is Back: How the Global Revival of Faith Is Changing the World by John Micklethwait and Adrian Wooldridge. Reprinted by arrangement with The Penguin Press, a member of Penguin Group (USA), Inc. Copyright (c) April 2009.